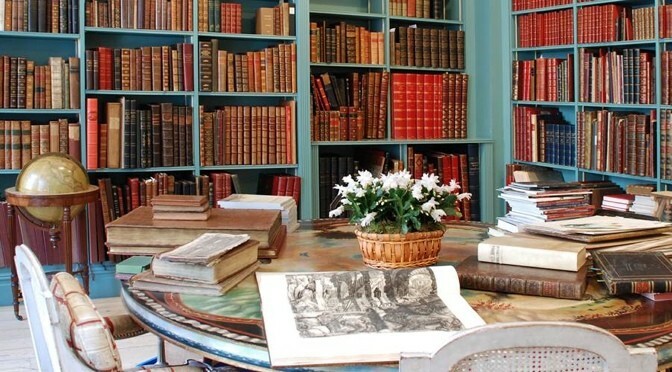 The Board is pleased to announce that, following a review of operations, it has agreed outline terms for the disposal of its South Kensington operations, South Kensington Books and Ultimate Library. South Kensington Books, which specialises principally in the retail of illustrated contemporary art, architecture and photography books, and Ultimate Library, which creates bespoke libraries on behalf of luxury hotels and resorts, and high-end residences, have become less related to the Group’s core businesses, Shapero Rare Books and Scholium Trading. A company controlled by Philip Blackwell, the current Chief Executive Officer, will acquire the South Kensington operations. With effect from 30 March, 2015, Philip Blackwell will step aside as Chief Executive in order to focus his attention on the South Kensington operations. Jasper Allen, the Chairman, will act as Executive Chairman whilst a suitable executive is identified to additionally strengthen the board. Philip Blackwell will remain on the board as a non-executive director. The agreed terms, which are subject to final contract, provide for cash consideration of £140,000, representing a premium of 15% to the value of the unaudited attributable net assets as at 31 December 2014. In the year to 31 March 2014, these businesses generated turnover of £650,088 and a profit before taxation, after allocation of central costs, of £24,351. Completion of this sale is expected to take place on or around 30 April 2015 with full details to be confirmed in due course. Whilst revenues to date have been steady, we have seen a slowdown in sales, particularly larger value, higher margin sales, to customers from countries that are subject to material political instability and sanctions. Although these clients do have the propensity to be very active in the Spring fairs which, as ever, have a significant impact on the Group’s expected full year performance, the Board considers that a continuation of current trends would make it unlikely that revenues for the full year would be materially ahead of last year. Scholium Trading has been involved in a number of profitable, albeit smaller, transactions across various asset classes, including sculpture, coins, paintings, and ceramics. Nonetheless, we had been hopeful of concluding a significant transaction very recently. Unfortunately, the assets were deemed to be of national importance and export licences were not granted. As a result there will be a corresponding significant shortfall in anticipated revenue and profit. South Kensington Books and Ultimate Library have generated increased returns, although small in the context of the Group. The balance sheet of the Group remains strong with no indebtedness, cash at 31st December 2014 of approximately £2.4 million and a net asset value (unaudited) at the same date of approximately £10.5 million, equating to approximately 77p per share. Notwithstanding disappointing year-to-date performance, the Directors remain confident in the high levels of quality stock built up in Shapero Rare Books and look forward to converting the positive experience gained in Scholium Trading to larger trades in the coming year.